According to new figures from the federal government, imports of friction materials containing the cancer-causing mineral — mainly automotive brake and clutch parts — slipped to $4.4 million last year from $6.4 million in 2015. 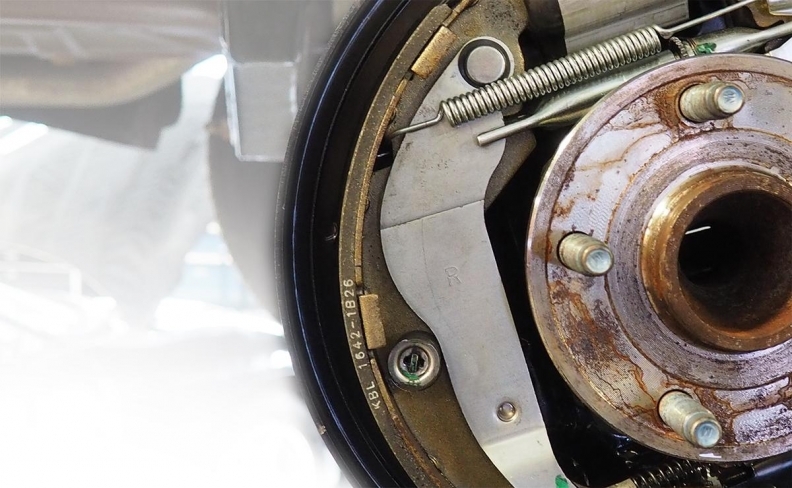 OTTAWA — The flow of asbestos brake shoes into Canada fell by nearly one-third in 2016, even as regulators prepare to give the aftermarket industry another year and a half to use up existing inventory. The decline came amidst growing warnings about the health risks for auto technicians and others who handle asbestos parts. In December, Canada announced plans to join other nations in outlawing asbestos imports and use, but signaled that the ban won’t take effect until late 2018. While some have called for an immediate ban, the government official charged with shaping the law says the complex process is moving as quickly as possible. “Two years is incredibly fast timing for brand new regulations,” Gwen Goodier, executive director of the chemicals management division at Environment and Climate Change Canada, said in an interview. “Typically regulations, even amendments, take three years or longer because under the Canadian Environmental Protection Act we have an obligation to be transparent and to allow the opportunity for stakeholders to comment,” Goodier added. Even with the ban in place, however, asbestos products might not immediately disappear from the market. A government report published in April suggests that products imported or manufactured before the law becomes official could still be legally sold and used. There may be little need for the provision, however. The Automotive Industries Association (AIA) of Canada says the largest aftermarket supply chains have already taken steps to ensure their products are not made with asbestos. “Those would have been the most impacted with time-lines for implementation, because in fact they would have to cycle through inventory,” said AIA President Jean-François Champagne.Canadian Labour Congress President Hassan Yusuff said he is satisfied with the timeta-ble for implementing the ban. Yusuff is also heartened by the federal government’s support for adding chrysotile, the most common asbestos form, to an international list of hazardous substances. Canada until 2012 was a major exporter of chrysotile and had opposed earlier efforts to place it on the list. Many thought asbestos had disappeared from Canadian products after it was listed as a toxic substance under the federal environment act in 1999. The CLC and others, including Guelph, Ont.-based ABS Friction, pressed for a ban on imports after the revelation that low-cost brake products containing asbestos were coming to Canada from Russia, China and other countries that still mine asbestos. The AIA, representing the aftermarket, “strongly supported” the ban — even while asking for a transition period — but Champagne said that the group struggled with initial confusion over whether asbestos was even present in imported parts and the potential impact of regulations. “We’ve certainly taken all the right steps since to ensure that we are being very transparent and communicating that,” he said.